Will we ever get another Darkstalkers game? The monster-themed fighting series is a beloved cult favorite, but Capcom hasn’t produced an entirely new entry since 1997’s Darkstalkers 3. 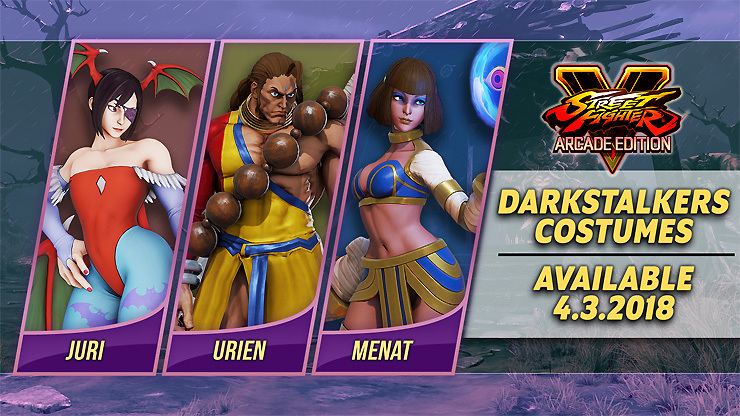 We’ll probably be waiting a while (if not forever) for a new Darkstalkers, but Capcom has thrown fans a bone, releasing a series of spooky new skins for Street Fighter V.
The skins are for Juri, Menat, and Urien – you can check out images and descriptions of all three, below. A portion of energy that was split from Morrigan by Belial and sealed. After 300 years, the separated energy formed another consciousness called Lilith. Being a cheerful succubus, Lilith’s goal was to reunite with Morrigan in order to continue her existence. Fans may be wondering who exactly Khaibit is as it’s not the name of any Darkstalkers playable character. If you guessed it draws inspiration from the mummy Anakaris, you’d be correct! The Khaibit first appeared in Darkstalkers 3 as Anakaris’ partner who can be seen in certain animations, especially during Pharaoh Decoration. Later, Khaibit became a secret character in Capcom Fighting Jam Midnight Bliss. Donovan Baine is half-vampire and half-human. Following a horrific event, which caused his vampire side to take control and drink the blood of everyone in his village, he devoted himself to Buddhism. In the Darkstalkers series, he travels with a little girl called Anita, who wields mysterious powers. What, no Morrigan Aensland or Felicia? 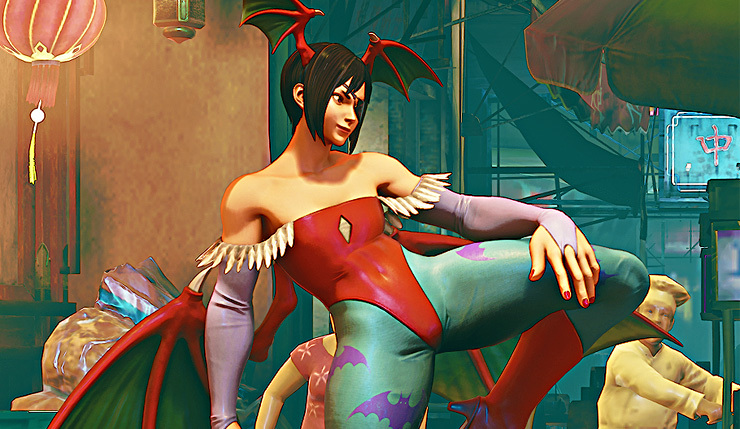 Hopefully these aren’t the last Darkstalkers skins we get, and Capcom is just building anticipation. 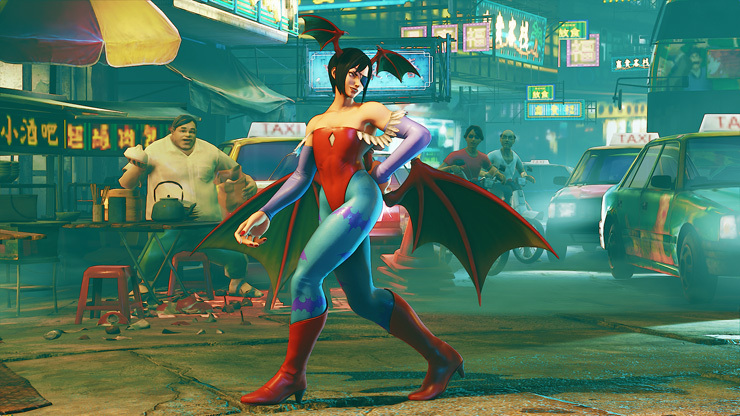 The Street Fighter V Darkstalkers costumes will be available on April 3, and will cost $4 apiece (unfortunately, they won’t be offered through Extra Battle challenges). 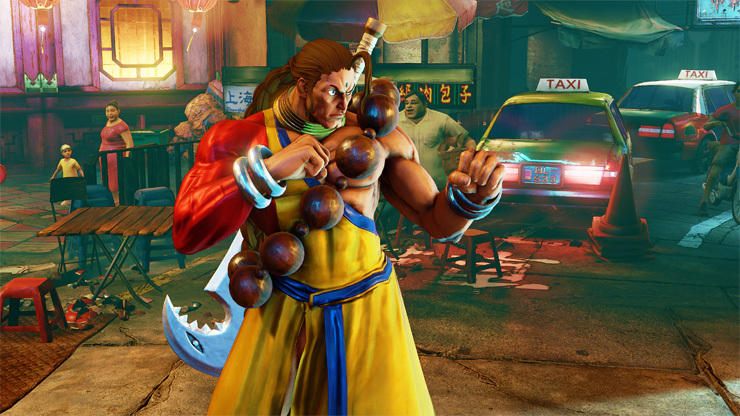 Street Fighter V is available now on PC and PS4. 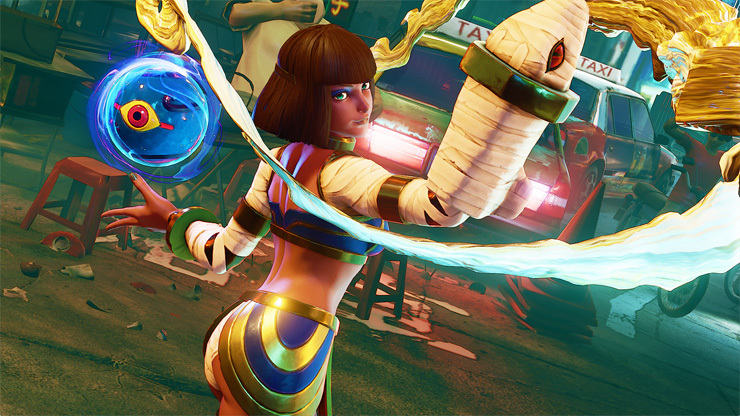 Capcom recently released the major Arcade Mode update, which makes the game far more accessible to casual fighting fans (check out Wccf’s review of the DLC here).